There’s no question that I prefer to bake instead of cook. Most new recipes I try are desserts, and most I Pin fit onto my sweets boards! Here are a few of my favourite vegan recipes. Pumpkin Gingerbread with Spiced Buttercream from Oh She Glows. Pumpkin Banana Chocolate Chip Muffins from Healthy Girl’s Kitchen. My husband and I love two banana muffins from Daily Garnish. 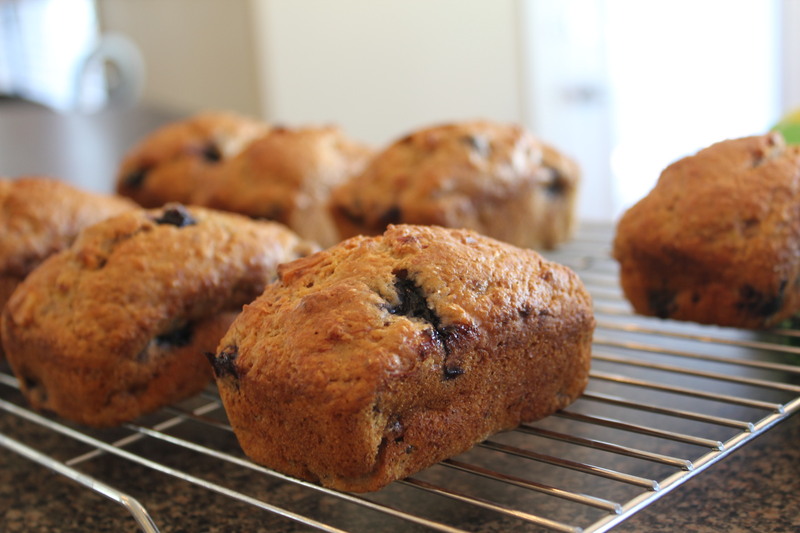 My fave is the Blueberry Walnut Banana Bread and my husband’s favourite is the Blueberry Banana Whole Wheat Muffin. I like the density of the first one. Peanut Butter Chocolate Pillows from Post Punk Kitchen. I don’t make them often since they’re a bit of a labour of love, but man are they worth it! Cookie Dough Balls III from Oh She Glows. Hands down it’s Cotter Crunch’s Vegan Halloween Healthy Bite. Not only does Lindsay post some recipes, but she also sells Healthy Bites. I can’t wait to be in training again to buy some and test other flavours! Black Forest Brownie from Peas and Thank You. I add macadamia nut pieces and WOW. 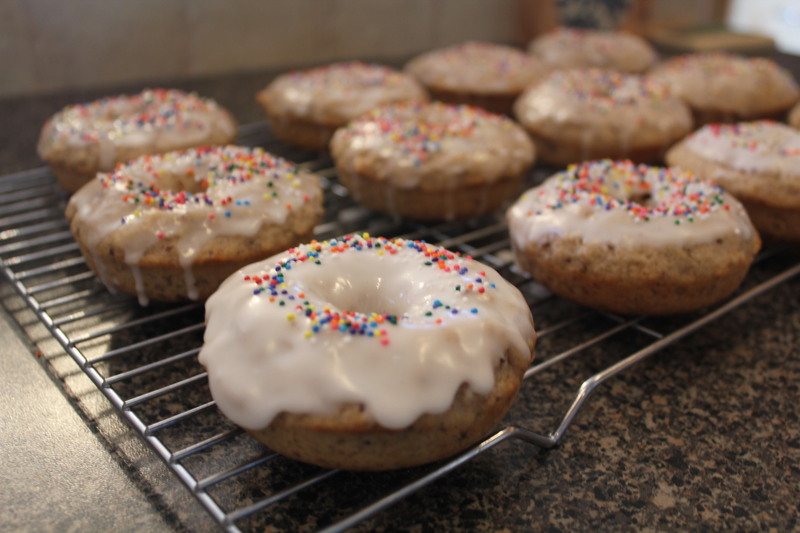 Baked Vegan Donuts from Oh She Glows. These are simple yet so delicious! I’ll add one savoury recipe to the list! Don’t judge- I always crave Kraft Dinner. I feel bad when I make it since my husband used to love macaroni and cheese, too. I searched plenty of vegan mac and cheese recipes but wanted something that was easy to make and didn’t require odd ingredients. I think I found THE vegan mac and cheese recipe. It is insanely delicious! Vegan Mac ‘N’ Cheese from Chef Chloe. What are some of your favourite sweet or vegan recipes? Do you prefer to bake or to cook? *edited to say: I’m not vegan. My husband is, and I love to make yummy baked vegan goods! This entry was posted in Baking, Vegan and tagged brownies, cake, cookies, donuts, mac n cheese, muffins. Bookmark the permalink. These all sound so good! I’ve gotta check some out, especially those peanut butter chocolate pillows! The pillows are incredible. I think I’ll have to make them again soon! This is an awesome collection. I am always looking for new mac-b-cheese recipes. I have one that uses quinoa instead of macaroni and it is so good! And the sweets, always appreciated! I love baking and cooking. Oh, a quinoa Mac n cheese would be great with the different texture! I didn’t know that you were vegan! This food all looks super delish! Sorry if I misled! My husband is vegan and I just like making him yummy treats! Anything named Peanut Butter Chocolate Pillows has my name all over it! You must give them a try- so good! And you can eat the dough without worrying about raw eggs! And just as I was starting to get over the holiday cravings – thanks a lot LOL. So true! I think I might have written it since I’m still craving sugar! The frosting in that first photo is making me crave sugar! My wife made vegan brownies the other day – looks like I just decided on my breakfast of champions for the day. I always leave some frosting off so I can eat it later! Brownies are a great pre-commute breakfast! I forget your hubs is – you’re aces for being able to cook for you and him. I really want to cook more vegan recipes but the ingredients list always seems so daunting. Thoughts on how I can get brave and try?? These recipes aren’t too daunting…as long as you have flax seeds and a dairy substitute to replace the egg and milk, you’re golden! I think the easiest thing to do is find simple recipes of something you’d already make, like healthy muffins, and then start there. The best thing is you can eat the dough and batter without worrying about raw egg. These look great – I’m going to give them a try. I’m not vegan, but I’ve been vegetarian for 23 years and try to eat vegan often. Cheers! Wow- vegetarian for 23 years is impressive! I love this post! I will definitely save it for future reference. I have yet to bake anything vegan but I cook vegan all the time! Thanks again! I find vegan baking way more fun, especially when you take it somewhere and people eat delicious, sweet vegan treats. I think it has such a bad reputation sometimes! Agreed – Even as a semi-vegan I am turned off by vegan desserts because I see them as oily or dry. I should try some of these and change my own perception! That’s funny! I find the second banana muffin recipe and the brownies a little dry, so start with one of the other recipes first. it’s dinner time here and all i want is a cupcake! haha. All sound wonderful and thanks for the healthy bites love. I think I’ve eaten cupcakes for dinner on a couple occasions! This is such a good collection! Thanks! Hope you can make a couple of them! Those cookie dough balls are the BEST. Everywhere I bring them, people can’t believe they are vegan : ) This is a great list! Yum! People are surprised with every vegan dessert I bring! I don’t know what they’re expecting…ha ha. Pumpkin and gingerbread are two of my favorites–definitely trying that first one! I love to bake more than cook, too. Who needs real meals when there are desserts? My husband always asks me to bake it for him year round! And I completely agree- I’d take dessert first most days! I love this post.. it wraps all the good stuff into one! thanks for all the awesome recipes! No worries! Hope you’re enjoying being back in BC! I love Oh She Glows too! Everything she makes is delicious! I’ve never tried these recipes but I’m definitely in the mood for pumpkin treats! I can’t wait for her cookbook to come out! I don’t think it is fair that I just came across this post pre-lunch time. I am so hungry, and your pics look DELICIOUS! Baking over cooking for sure!!! 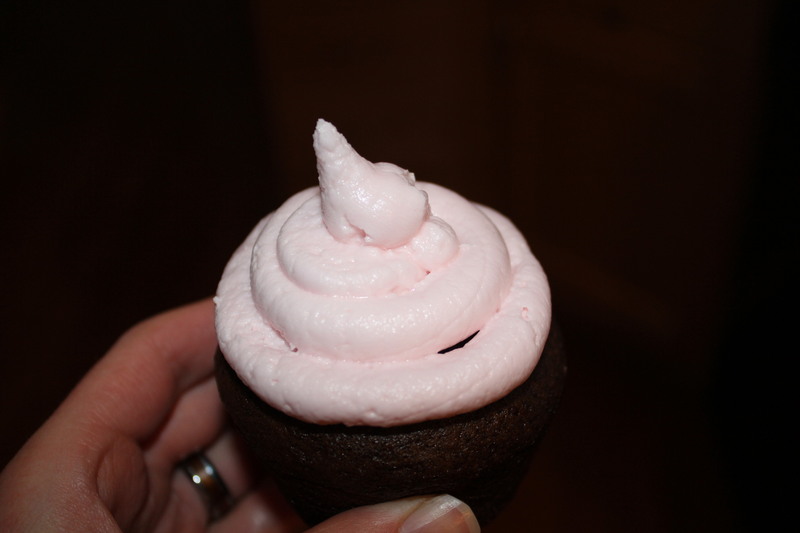 I loved this one recipe …I think I pinned it. I make it a lot in the summer, it was quinoa macroons!!!! it has raw honey in it so some vegans eat honey, others don’t – do you?? My husband doesn’t eat honey. Personally, I think he should since he’s allergic to bee stings! Ha ha. Can you send me a link to the recipe anyway? Neither a baker or a cooker here. I just love to eat!! Those donuts look awesome!! Ha- nothing wrong with that! Looks like you had a decent try this weekend! You found a mac and cheese!! I MUST try it!! Along with ALL these other goodies..YUM! Yes! I’d still like to try your recipe at some point! I say go for dessert first! And they’re so, so, so good! I love to bake over cooking too. All of these recipes look so yummy. I’ll have a hard time deciding what to make first! Personally, I think any of them are a safe bet! You’ll need some good fuel though after your training!